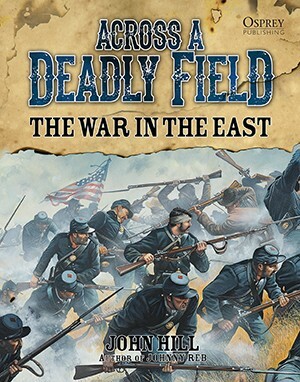 The War in the East, a supplement for John Hill’s Across a Deadly Field, gives players the resources to recreate the battles, great and small, of the Eastern Theater of the Civil War. Step into the shoes of Robert E. Lee and drive towards Washington with the Army of Northern Virginia, or take command of the Army of the Potomac, and attempt to capture Richmond. With scenarios, including an optional mini-campaign for the first day of Gettysburg, and special rules that enhance gameplay, this volume offers players, whether Union or Confederate, a versatility that can accommodate their preferences and miniatures collections without sacrificing either playability or historical accuracy.